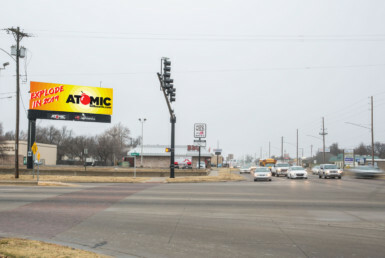 This LED unit is located a few blocks from Wal-Mart in the busiest intersection in town. 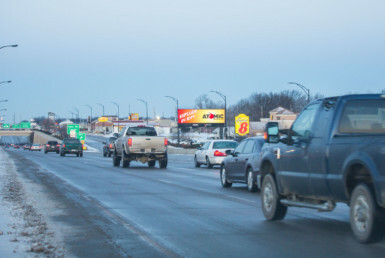 It is on the main thoroughfare for motorists traveling in and out of town. 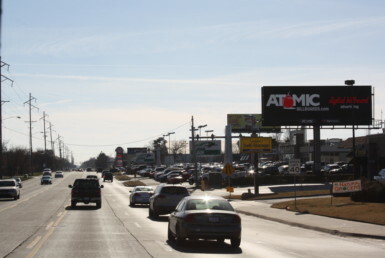 The most common industries in Chanute include manufacturing and retail trade. The most common occupations include production occupations and metal/plastic work. National retailers such as JCPenney, La-Z-Boy, Lane Furniture, Sears, Wal-Mart and GNC sit in close proximity to this billboard.